This post is sponsored by SheKnows Media. As always, all opinions are 100% my own. For years I have been told by fellow bloggers that I have to go to the BlogHer Conference. Held annually, it’s considered a “must attend” event that brings together bloggers, influencers, social media stars, online entrepreneurs, blue-chip brands, and celebrity speakers. BlogHer is a big deal in the blogging world. BlogHer is part of SheKnows Media, the “#1 women’s lifestyle digital media company with 79 million unique visitors per month and 292 million social media fans and followers. The company’s mission is “women inspiring women” and it does that extremely well. This year, #BlogHer16 was held in Los Angeles which is driving distance for me. I booked a hotel room and invited another blogger to stay with me instead of making the drive after long days of meetings and networking. I had heard from other bloggers that the schedule is non-stop from early morning until late in the evening. I did not want to miss a moment so booking a room was a smart decision. The event did not disappoint. I heard inspiring keynote talks from Sheryl Crow and Kim Kardashian West. I also got to meet and hang out with one of my favorite HGTV stars, Sabrina Soto and got to meet Freddie Prince, Jr. Pretty cool, wouldn’t you agree? 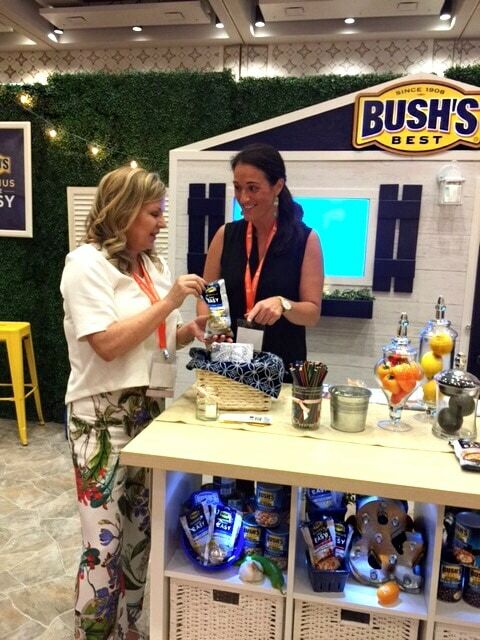 One of my goals for #BlogHer16 was to connect with some of the top brands. Walking into a gigantic expo hall, and introducing yourself can be a little intimidating. 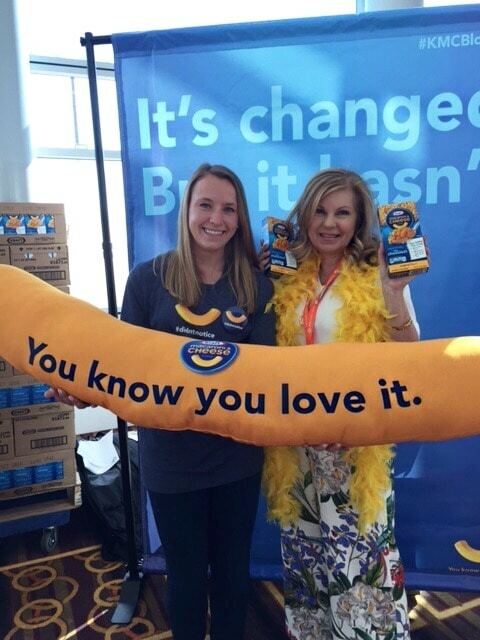 Fortunately one of the first booths I came across were the friendliest most fun group from Kraft Mac & Cheese. Before I knew it, they had me dressed in a bright yellow feather boa and had me taking goofy pictures. All my nervousness was gone in a flash! Did you know that Kraft took the artificial flavors, preservatives, and dyes out of Kraft Macaroni & Cheese, and no one really noticed? 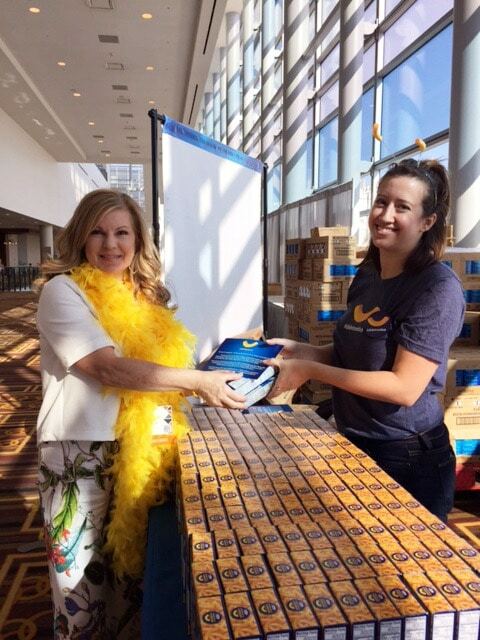 They wanted to make sure it still tasted like the Kraft Mac & Cheese we all love, so three months ago, they quietly started selling the new recipe in their old boxes to see if we would notice. Guess what? No one noticed! It still tasted the same, which is absolutely delicious. It’s loved by young and old and everyone in between and now we can feel great about serving it and enjoying it. Learn more about their grand experiment here. Be sure and pick some up on your next shopping trip and see if you notice anything other than Kraft Mac & Cheese still tastes so good! 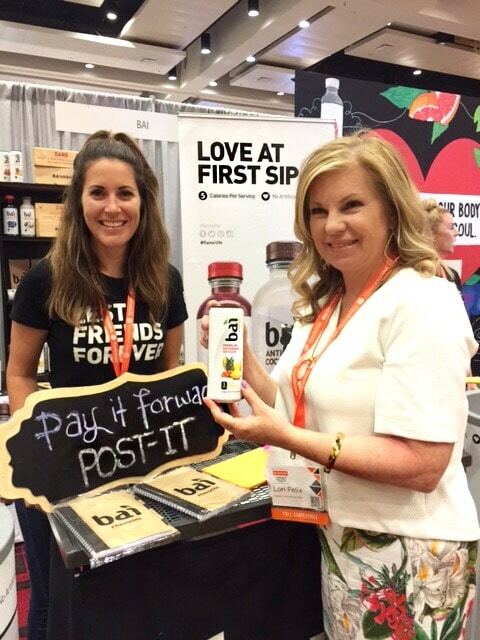 I discovered a new product I am excited to share with you; delicious drinks from a company called Bai . I have stopped drinking soda but I really do miss the fizz of the drinks. I found the perfect solution in Bai Bubbles when I met this fun group. 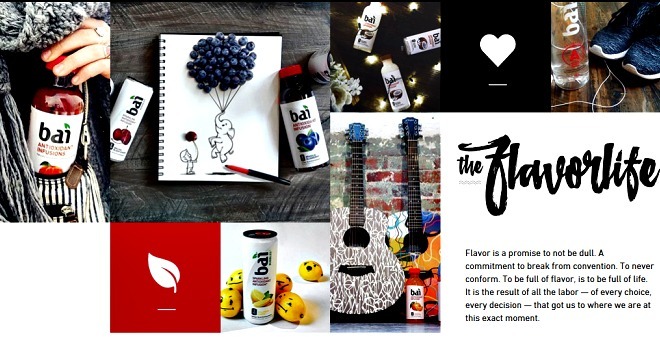 I learned that Bai uses only natural flavors without artificial sweeteners to create fresh, delicious, 5-calorie beverages for consumers like me who desire better alternatives to high-calorie drinks full of processed synthetic ingredients not found in nature. Each exotic flavor is antioxidant-infused using coffee fruit and only has 1 gram of sugar per serving. My two favorites from Bai Bubbles were Jamaica Blood Orange and Peru Pineapple. 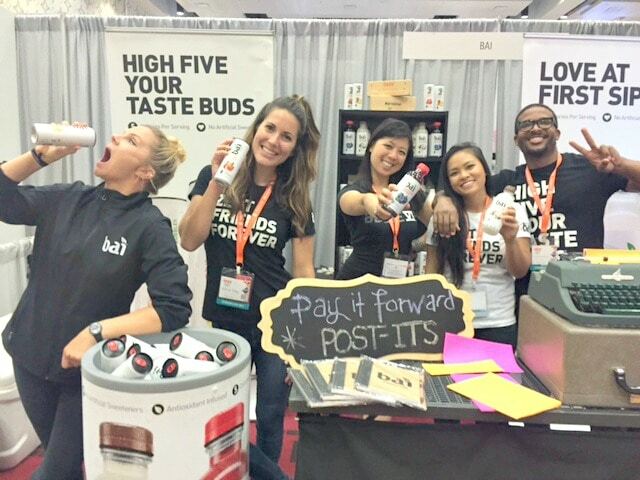 Bai was founded by entrepreneur and coffee industry pioneer Ben Weiss and launched in its hometown of Princeton, N.J., in August 2009. The company has grown steadily ever since and expanded into national distribution in 2014 through an agreement with Dr. Pepper Snapple Group. Bai is the Mandarin Chinese word for “pure.” It’s also an acronym for “botanical antioxidant infusions.” Use the store locator to find Bai near you. I think you’ll love it too! Want to look like a culinary genius in no time flat? 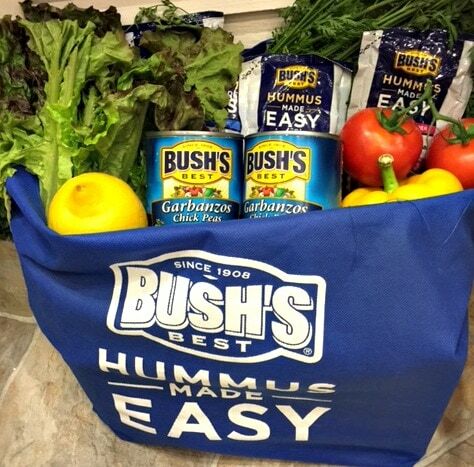 Check out this new product from Bush’s Best! 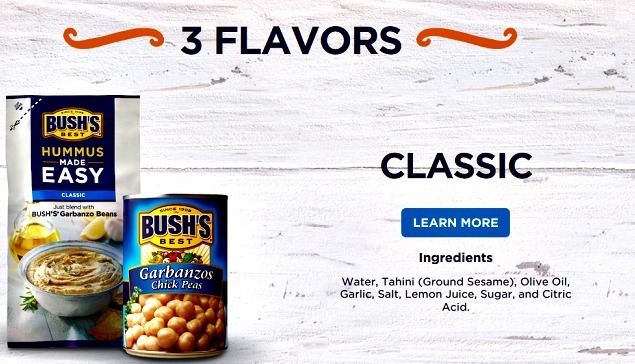 Now you can make hummus that tastes amazing with a pouch of Bush’s Hummus Made Easy and a can of their Garbanzo Chick Peas. Inside the handy pouch, you will find Water, Tahini (Ground Sesame), Olive Oil, Garlic, Salt, Lemon Juice, Sugar, and Citric Acid. Drain and rinse beans. Pour into food processor. Open pouch. Pour into food processor. Blend. Remove delicious hummus from the food processor. I tried the Classic Flavor but you can also try Southwest Black Bean and Roasted Red Pepper flavors. What is your favorite way to enjoy and serve hummus? I hope you will try and enjoy these tasty products. Be sure and come back and tell us what you thought in the comments. 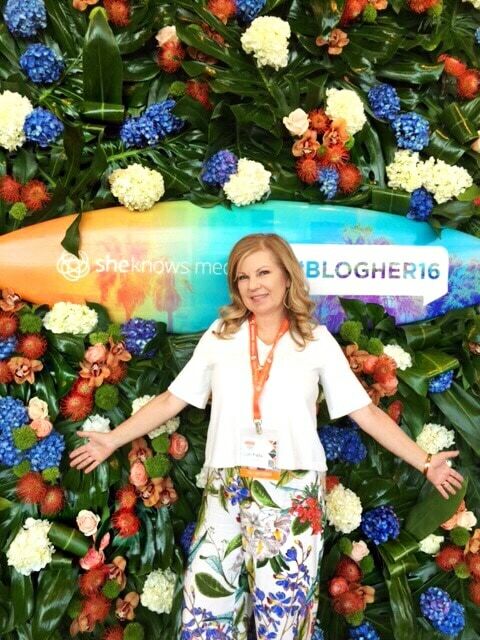 #BlogHer16 was engaging, inspiring, exciting, entertaining and exhausting. It’s a good thing I have a year to rest up for #BlogHer 17. If you are a blogger too, I hope you will join me! I really hope I can go to BlogHer next year! It looks like so much fun. I hope I can go next year! Sounds like a lot of fun! I would love to go to a conference but they’re expensive. I also never get too much from Blog Her. I dont feel like they really work that much with new bloggers, as far as qualifying for spon posts. Hoping I could go next year, I’ve heard great things from those who attended Blogher. And you sure sound & look like you had an amazing time! I hated to miss blogher this year, but there is always next year right?! Currently waiting on my daughter and trying not to be so sad about all the fun that was had. I wish I was able to make it this year! It looks like it was a great time. Looks like you had an awesome time at BlogHer. I wish I live in the US so I can attend it.